According to the wife of international jouster Per-Estein Prois-Rohjell, sometimes her husband's chums just turn up at the door unannounced. If you can think of a fun caption for this picture, feel free to post it in the comments section. do you have any brasso i can use ma'am? 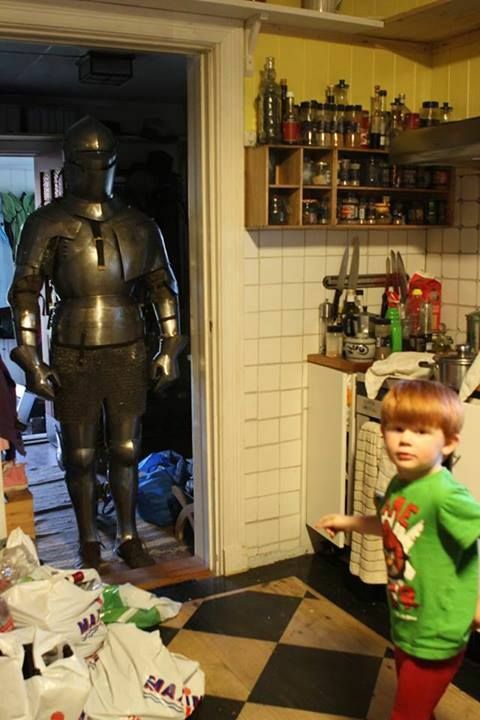 Mum,Dad, the new security system is here! and i think dad had something to do with it's design!! !